We would like to thank Cherrielet Paisa from the Fort Lauderdale Art Institute, who designed our logo. 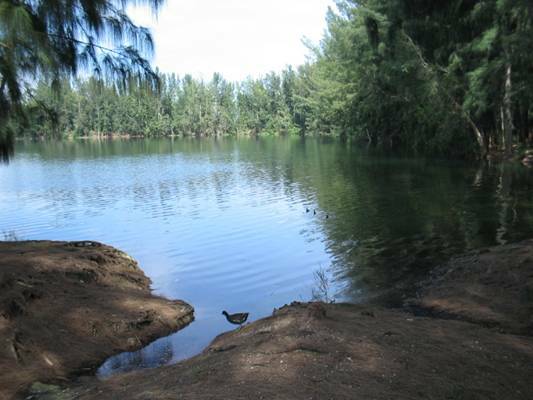 The Davie Area Land Trust relies completely on volunteer efforts, donations, and donations-in-kind in our effort to protect and preserve Davie's open spaces. Please join us or contribute. 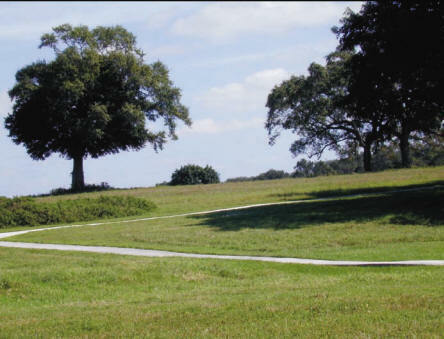 Our brochure introduces some of our goals and efforts to date, and we hope it and the images it contains inspire you to help preserve Davie's rural heritage and habitat. 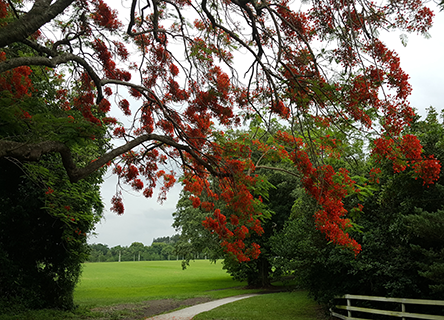 A regal Royal Poinciana in full bloom in 2016- the value of open space and preservation to Davie residents who enabled this park insured scenes like this will engage our residents and visitors forever. Poincianas bloom in early summer in vibrant shades of red, and more rarely, orange or gold. All are spectacular introductions to our summers. We hear South Florida has no seasons- if you know what to look for, the seasons stand out just like in a less temperate climate.